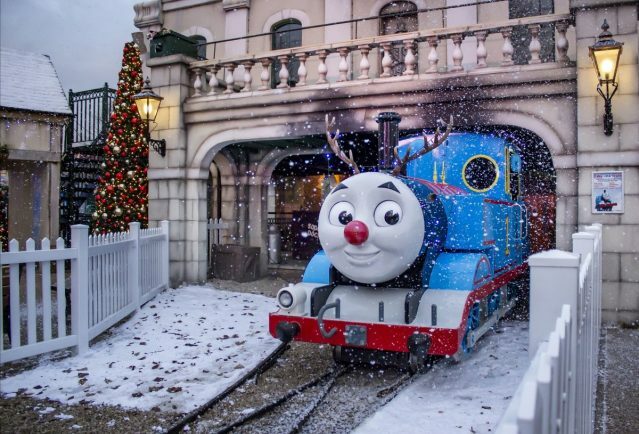 VISITING Thomas Land and Drayton Manor is always plenty of fun whatever time of year you visit but there is definitely something more magical going there during the festive season. 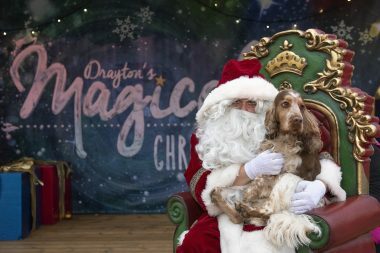 Often set against the bracing and sometimes even frosty weather, the lights, decorations, music and general atmosphere of merriment, Drayton’s Magical Christmas keeps you warm as you walk around. 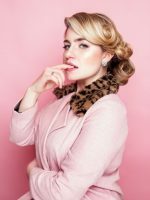 When you head there, be sure to get there early and plan what you are going to do in what order. There are the array of fun rides in Thomas Land (especially for me who’s not a fan of super fast and high rides). Among them are the gentle Sodor Classic Cars, Harold’s Helicopter Tours, Jeremy’s Flying Academy and our youngest daughter’s favourite (she’d stay on them all day if she could) Terence’s Driving School. But there’s also some with a bit more of an edge, such as the Rocking Bulstrode, Cranky’s Tower Drop, Diesel’s Locomotive Mayhem and Troublesome Trucks. Although not all rides are open in the winter in Drayton Manor, there is still something for everyone – from the Jolly Buccaneers and carousel to Accelerator for the more thrill-seeking. You can also test your shooting skills on the Sheriff’s Showdown. If you need a warm, there is the always the cafes and food outlets for a quick hot drink and snack, soft play in Thomas Land and the fantastic 4D Cinema which is currently showing the humorous Ice Age movie, complete with 3D visuals, gusts of air and jolting chairs. The ice-skating, although arguably not as authentic as full-time ice rinks, still enables you to test your skills and is particularly good for the little ones to introduce them to skating before you try them out on a bigger frozen rink. Make sure you know what is going on at what time because the Christmas performance by Sir Topham Hat and Co was great to sing, dance and clap along to. Father Christmas in his grotto in the Magical Castle is also well worth a visit with the friendly, welcoming elves. Add to that the train ride and a visit to the zoo and you have more than a full day ahead. One of many highlights of our day was the parade at the end, led by Sir Topham Hat and the illuminated stars and, when they break into song and the fireworks start, it brings the curtain down perfectly on a very Christmassy day, leaving you to head to the exit feeling festive and ready to celebrate this magical season. Visit www.draytonmanor.co.uk for more information, times and tickets.